These brown and green garland design area rugs are the perfect marriage of design and functionality. They are woven using multi colored polypropylene threads in a similar way that real flat weave wool area rugs are woven. 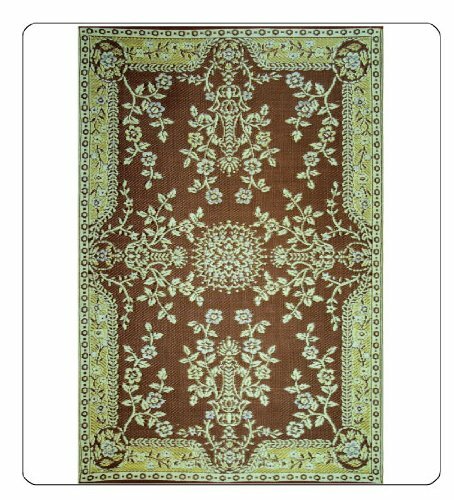 Completely ingenious, these area rugs have colors and designs usually only available in the interior design rug market but they are completely easy care and are suitable for use as area rugs indoors or outdoors. Put these area rugs down and dont even give them another thought except to admire them! Isnt that what a kitchen rug or outdoor rug should be?